Today I'd like to highlight a 'Dump Truck' or 'Garbage Truck' from Michael Andersch, with already some time. This model uses an RCX and the Code Pilot (or barcode scanner) from 8479 (... what a cool set this also...) which is used to generate a speed-dependent motor sound. Also according to the author, it took about 60-70 hours to build. One of the details, people seem to like most in this model is the way it shakes twice before the can gets lowered back to the ground. It looks like the author requested YouTube to disable this video embedding capability , so the only way to watch it is through the source. It is now fixed. Thanks Michael! More detailed photos, can be seen at the author's BS folder, here. This was however Michael's 2nd design for this kind of vehicle. See photos from the first model also at this other BS folder, where you can find also the correspondent video. Disabling the embedding-function happened by accident, I assume. I corrected it now. Thanks to have fixed it! I plan to highlight some of your other buildings in the near future. feel free to do so! It is a honour for me! your truck is so great!! 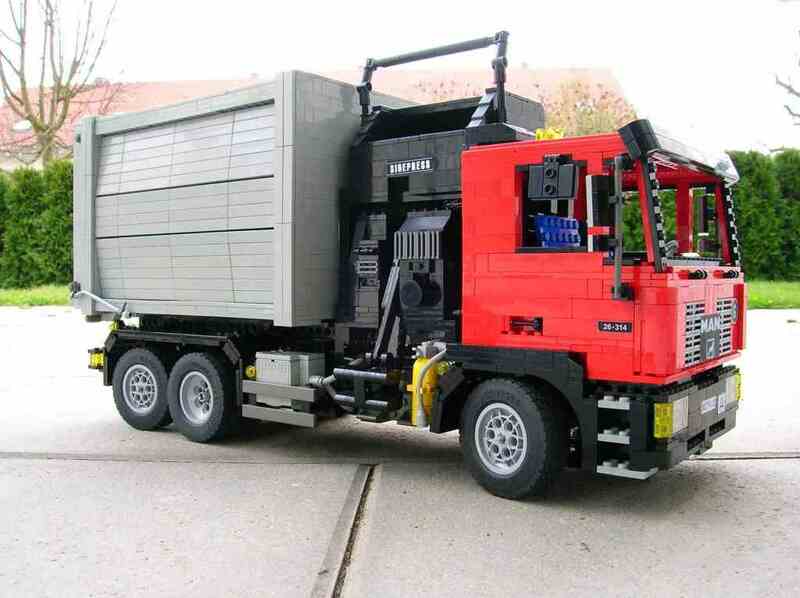 Is it somehow possible to get the instructions for this truck, or could you tell me which lego set you used?